In April 2012, I decided to go to Peru and subsequently Ecuador to learn and understand as much as possible about the cultivation and processing of quality cocoa for the making of fine chocolate. I decided to take this time off to get to the heart of chocolate and understand what is happening on the other side of the world in countries that are Latin America’s leading producers of cocoa beans. Through my travels and work experience in different cooperatives, I discovered the challenges that producing countries face in the sustainable development of cocoa farming. Peru is the world’s thirteenth largest exporter of cocoa beans and the second largest producer of organic cocoa. Thanks to international funding, cocoa production is growing fast, replacing the illegal cultivation of coca. 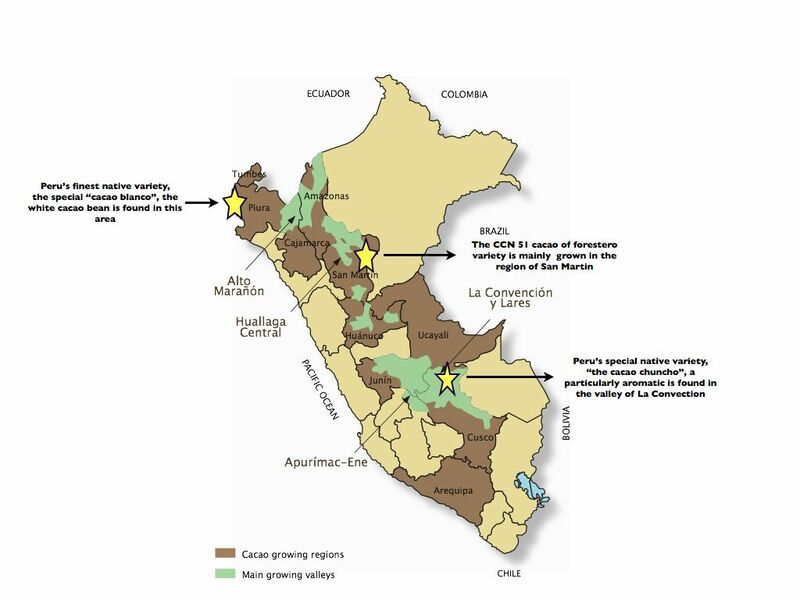 Peru grows some of the finest cacao, including the Trinitario, Amazon Forastero and Criollo varieties. It has a great genetic diversity of varieties. Ecuador has long been known as the world’s largest producer of fine-aroma cocoa. During the late 19th century, it was the world’s largest cocoa exporter. Chronicles dating back to the arrival of the Spanish conquistadores on the Pacific coast describe their astonishment at seeing gigantic cacao trees cultivated by the inhabitants of the Ecuadorean coastal areas. For the first part of my trip I worked for a consortium of four cocoa cooperatives based in the region of San Martin. 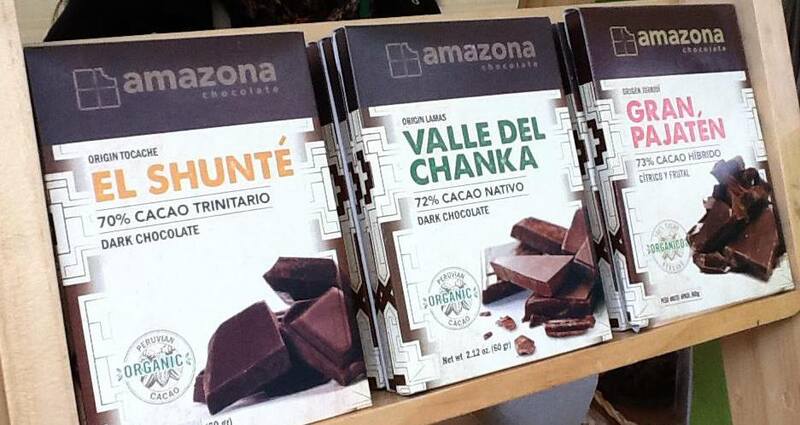 While they taught me all about cocoa production and enabled me to enter the world of cocoa cooperatives, I helped them on the marketing strategy of their chocolate brands, Amazona Chocolate, made with the very beans from the cocoa cooperatives; Acopagro, Tocache, La Divisoria and Oro Verde. During the second part of my trip, I spent time in cooperatives in other parts of Peru, where a range of different cocoa varieties are produced. This enabled me to learn about different cocoa varieties and best agricultural practices for the processing of high quality beans. 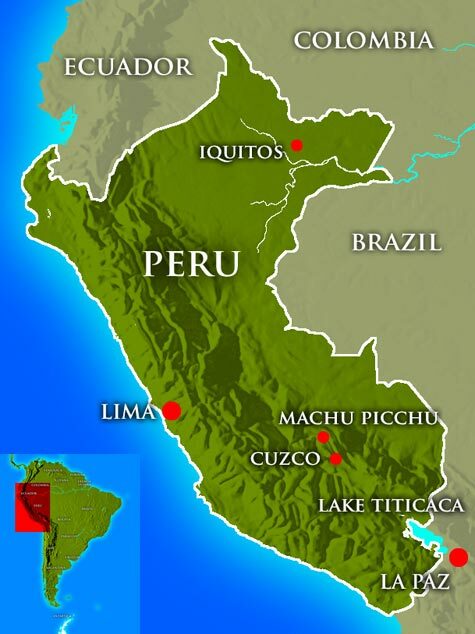 Some of Peru’s finest cocoa plantations are located in the northern tip of Peru, in an area called Piura. The cooperative that I visited are located in the areas marked with stars. I spent time in each cooperative to learn about the local cocoa communities, their cocoa varieties, and cultivation techniques. By immersing myself in the world of cocoa in Peru and subsequently working in the cocoa research department of the Ecuadorean government’s agricultural research institute, INIAP, I gained a full understanding of the complex supply chain from cocoa bean to chocolate bar, and the challenges facing producing countries like Peru and Ecuador of developing quality beans for the export market while enabling farmers to make a sustainable livelihood out of cocoa farming. 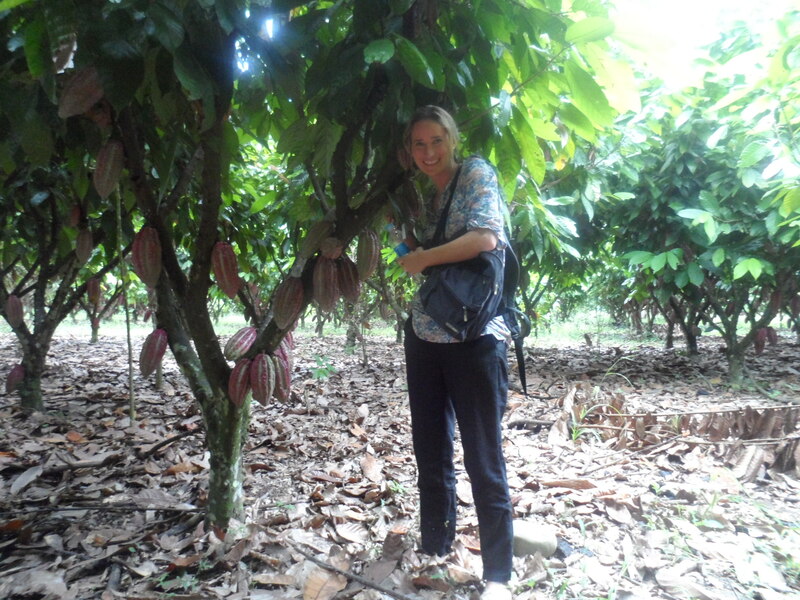 This experience equips me well for pursuing my professional ambitions to deliver sustainability programs for cocoa producers and chocolate manufacturers. My language skills – I speak fluent French, Spanish and Portuguese – are perfect for forging strong relationships with cacao producing countries. Since my return from the cocoa trail in Peru and Ecuador, I have worked on a number of projects and roles. I worked for Valrhona supporting them with their Corporate Social Responsibility Communications, during which I organized a media trip to their cocoa plantations in the Dominican Republic — I did a Masters in International development and Agriculture at the University of Reading, and as part of my thesis I went to Ghana to examine how private and public sector intervention schemes are addressing sustainability issues in Ghana’s cocoa supply chain — and most recently I worked as a consultant for the Food and Agriculture Organsiaton of the United Nations, developing one of their most prominent partnerships with Google, bringing in Google Earth Engine technology to FAO’s environmental and climate change programs. This is so exciting! Peru is such an amazing country. Felicidades por su proyecto, es muy interesante y espero que todos aprendamos siguiendo su viaje. Lovely for you to have gotten to the Cocoa Show in Peru, Juliet. I had been invited to attend, but getting me there from Canada did not coincide with my time or resources at this time. I, too, visited the cocoa farmers in San Martin earlier this year as research for “Chocolatour,” my upcoming book about the world of chocolate. That trip really had an impact on my research. There are several posts on my blog about the trip to Peru beginning here: http://diversionswithdoreen.com/the-growing-of-cacao-in-peru/. I hope you’ll drop in and share a comment or two. Saludos, muy buen sitio web me ha sido de gran ayuda toda la informacion que se encuentra aca, muy bueno. Such an amazing project. I’m going to Lima for 2 weeks in September. Don’t think there’s any plantations nearby but would dearly love to visit one. I am afraid that there aren’t. You will need to go to the region of San Martin to discover them. Yes I would love to visit India! This is a really interesting project you are doing 🙂 It is really exciting to see about how passionate you are about working with chocolate! But just wondering, have you ever thought about the darker side of chocolate, like the children used in cocoa plantations as slaves and how cocoa farmers are usually being ripped off by bigger companies who purchase their beans? What’s your point of view on all of this? Hello, thank you for your message. I am glad that you have enjoyed reading my blog. Yes I am aware, in fact very aware of the darker side of chocolate. This is an area I would like to work in and support. I am aware that there is child labour, however this mainly in Africa, and not so current in Latin America. I am also aware that in many cases farmers aren’t always given a correct price for their beans. However, global companies are not only to blame, but also local governments and cooperations. It is not uncommon to see local cooperatives ripping off their very own members… Today many global companies are putting in place cocoa programmes to support the farmers, to improve cocoa quality and offer a better price for the farmers’ beans. The problem is complicated, and today global companies are taking action, however they are not the only ones to blame. Hi Juliet I was reading your blog and I found it very interesting. 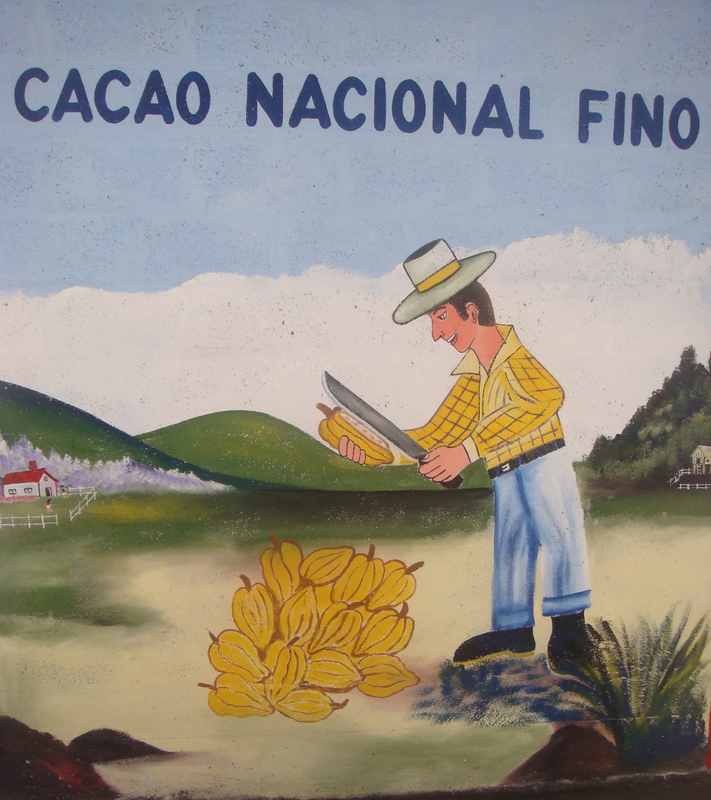 I work for Camino Verde, an Organic Cacao farming and chocolate company from Ecuador. We are experts in cacao beans. In every cocoa seedling, cocoa bean or chocolate bar we produce, we are providing our customers with the assurance of being the only local company that has performed complete traceability of its plants in order to guarantee the high quality of its products. Im trying to build a small laboratory in the farm, so we could make the people that visit us taste our different flavors of cacao beans, and also to make a little bit of cocoa liquor in the farm. I saw the photographs where you are making chocolate, I was wondering if you can walk me through the process of building the laboratory and acquiring all the necessary equipment. If you can contact me ill be really thankful. Thank you for your email and query. The laboratories that I spent time in were co-funded by US AID and TCHO Chocolates. I am afraid that I can’t remember the brand of the machines. I believe that TCHO Chocolates organised this. I had a look at Camino Verde’s website, it looks very interesting. Who do you currently sell your beans to? I am Mathesh from india.And i would like to learn and know about the cocoa tree plantation method and maintenance weather conditions.Then how to cultivate a good quality cocoa tree? Can you please me about something to known about cocoa tree cultivation method..? I and my siblings are just getting into cacao farming. I do not know anything about it. So I was just surfing the web and opened your blog. It will be interesting what I can learn from your blog. We are here in the Philippines and apparently it is just fairly recent that cacao farming has been encouraged here. We have just finished planting a thousand seedlings. I am hoping for the best. Oh, we are being assisted by an international chocolate company. im very impressed with your article.i have just started buying cocoa from small farmers here in uganda and selling it to exporting companies.i have really picked good information from this article.thanx very much. I don’t know if you still keep up with this website, but I’d like to thank you for sharing so much information. I recently inherited a patch of farmland in the Philippines where my relatives are growing cacao trees, but none of us know anything about producing a good end product. It’s clearly going to be an education for us! Your articles help us get some idea of what to expect. Bravissima, thank you. Thank you! so glad the blog is helping for those that are far away and in the cocoa producing areas.